The Berlin Wall was finally opened in 1989 and demolished by 1992, effectively lifting the Iron Curtain that had divided Europe for decades. This appeared to be a major blow to walls, and yet more than two decades later, walls are still with us. Why? 1. The Berlin Wall was only one wall: In the late 1980s, there were many walls in the world, and the Berlin Wall was not all of them. Instead, it was just one of them. The long-term consequences of this fact were far-reaching and various, but the most significant was that when the Berlin Wall was destroyed, only one wall was destroyed. 2. Not all walls are connected to each other: Though the Berlin Wall was very long, it was not so long that it joined up with all other walls in the world. If this had been so, there’s a chance that demolishing the Berlin Wall would have ended walls forever, and today we’d be living in a world without walls. But it was not to be. 3. Some walls are not even in Germany: The Berlin Wall was in Germany, with no part of the wall extending beyond the country’s borders. On the other hand, the same cannot be said of all walls. For example, the continued existence of walls like the Great Wall of China, which was and is in China, further proves that the fall of one wall in Germany never truly threatened walls in general. 4. People are always building walls: Beginning well before the Berlin Wall’s demolition, people have built walls to ensure separation between areas. The need for separate spaces, such as rooms, continued despite the destruction of the Berlin Wall, and even today, work on thousands of new walls across the world is underway. The continued construction of walls was a major factor that ensured that the fall of the Berlin Wall did not spell doom for all walls. 5. Reagan demanded that Gorbachev “tear down this wall,” not “tear down all walls”: Perhaps history would have played out differently had Ronald Reagan, in his famous 1987 speech at the Brandenburg Gate, called for Soviet leader Mikhail Gorbachev to tear down every single wall in the world, but this was not how it happened. The president limited his request to “this wall,” referring to the Berlin Wall. 6. There are many kinds of walls: The Berlin Wall was a specific type of wall known as a border wall, but there are other types of walls as well. 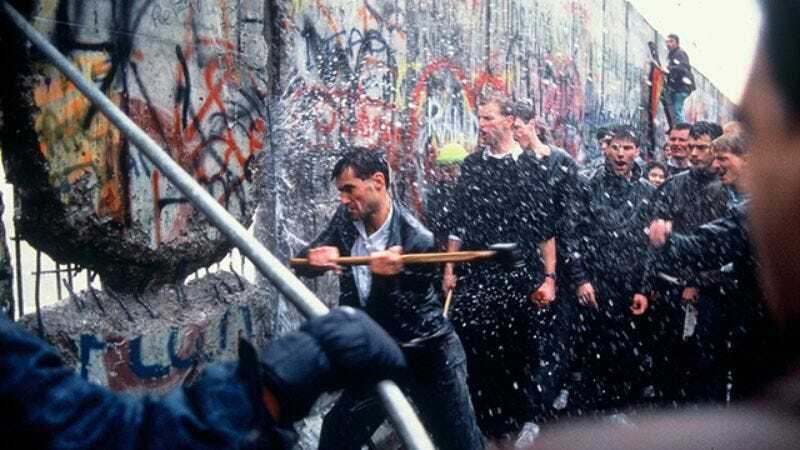 The urgent political and social forces that precipitated the demolition of the Berlin Wall failed to exert the same influence on retaining walls, seawalls, or glass partition walls. Partly for this reason, countless such walls stand to this day.